Perhaps you or someone you know is living with breathing problems. 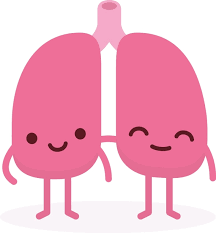 The Minto-Mapleton Family Health Team is offering programs to help our patients with multiple types of Lung Disease including, but not limited to, Chronic Obstructive Pulmonary Disease (COPD), Asthma, Pulmonary Fibrosis, Interstitial Lung Disease, and Pulmonary Hypertension. When a person suffers from lung disease the damage done to the tissue of the lungs makes breathing a chore. The Lung Health program offers Pulmonary Rehab; Respirology Consults; case conferencing and e-consults; Asthma Education; Action Plans; Smoking Cessation. This program has partnered with St-Mary’s Hospital in Kitchener and Dr. Nauman, Naeem from Guelph General Hospital to offer one to one Respirology consults using video conferencing. This would allow our patients access to their lung specialist from our Clifford or Drayton or Palmerston or Harriston office. ​Case conferencing and e-consults allows your physician or nurse practitioner to talk to your lung specialist in a very timely manner to assist in managing your disease. Asthma Education is offered individually or as a group and teaches about medications, inhalers and what triggers asthma. Action plans are a guide for you, the patient to follow as you experience changes in your symptoms to prevent flare ups. Smoking Cessation - please see the description under Smoking Cessation Program. For more information, contact your physician or nurse practitioner for a referral or speak to us directly through any means listed on our Contact page.